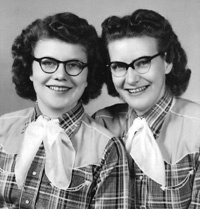 An article in the July 4, 1976 Eau Claire Leader-Telegram mentions with no other details that Scotty and Maggie Swan originated the Chippewa Valley Barn Dance program in 1948. 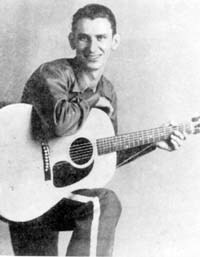 This show probably aired over radio station WEAU. 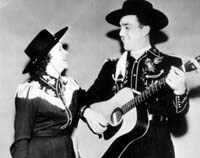 We did find a 1954 article that spoke of Maggie and Scotty Swan that shows they remained popular for several years in the Eau Claire area, doing radio transcriptions sponsored by the American Dairy Association and also having some appearances sponsored by the Doughboy Mills out of Minneapolis, Minnesota. 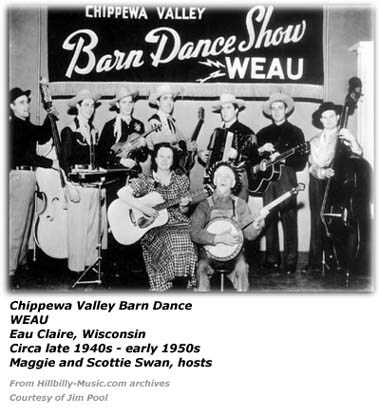 But that 1954 article made no mention of the Chippewa Valley Barn Dance.